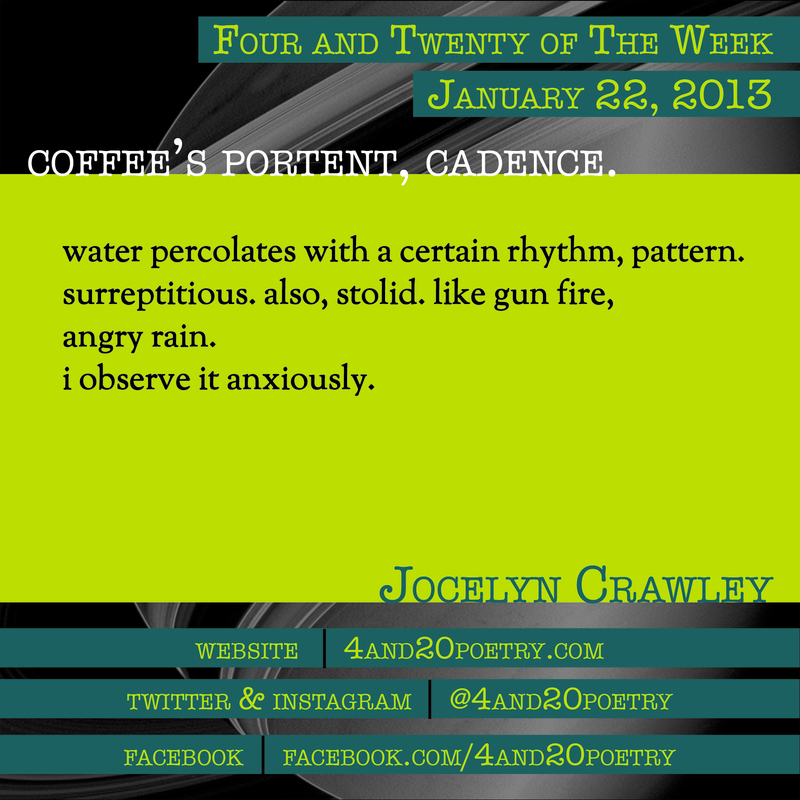 Jocelyn Crawley is a twenty-eight-year-old college student. Her work has appeared in Jerry Jazz Musician, Nailpolish Stories, Visceral Uterus, and Haggard and Halloo. Other stories are forthcoming in Faces of Feminism and Calliope. This entry was posted on Tuesday, January 22nd, 2013 at 4:20 am and is filed under Four and Twenty of the Week, Micro Poetry, Poetry. You can follow any responses to this entry through the RSS 2.0 feed. Both comments and pings are currently closed.